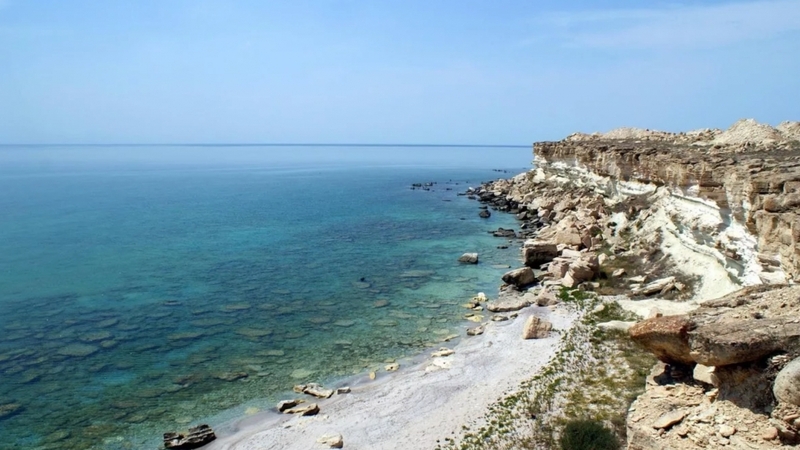 ASTANA – Kazakh President Nursultan Nazarbayev signed the law “On the Ratification of the Convention on the Legal Status of the Caspian Sea” Feb. 8, establishing the principles for peaceful use of the body. “I would like to congratulate all of you on the signing of the Convention. Today, my counterparts and I summarised the work on the Caspian Sea. We also have signed a series of agreements,” the Kazakh President told his counterparts during the signing of the document in Aktau last August. The Convention reflects all the legal aspects of the Caspian littoral states’ relations in the Caspian Sea. The provisions of the United Nations Convention on the Law of the Sea of 1982 and the principles applied to transboundary lakes are not applicable to it. The sea will have its own legal status. The states will delineate the seabed into sectors as in a sea principle. The sovereignty rights to the water columns will be regarded as in a lake principle. The main provisions are the basic principles of relations of coastal states at sea, delimitation of national zones, jurisdiction and sovereignty, procedure for implementing subsoil use, navigation, fishing, marine research, safety cooperation, rational use of biological resources and protecting the marine environment, said Minister of Foreign Affairs Beibut Atamkulov as he presented the bill. Resolving any issues relating to the Caspian Sea is within the exclusive purview of the Caspian states. “The presence in the Caspian of ships under the flags of states not belonging to the Caspian five, as well as armed forces not belonging to the Caspian states, is not allowed,” he noted. According to the convention, the water surface will be delimited into a zone of 15 miles of territorial waters of each of the five states as well as 10 nautical miles of fishing zones. The rest of the surface will be in common use. Each party has the exclusive right to fish for aquatic biological resources in its fishing zone in accordance with the convention based on separate agreements between the parties and their own national legislations. Each party also has the exclusive right to regulate, authorise and conduct scientific marine research in its territorial waters. Ships with the parties’ flags may conduct research within the territorial waters of another party only with its written permission and under its established conditions. Each state shall exercise sovereign rights to subsoil use within the boundaries of its seabed sector of the Caspian Sea. It is also possible to lay trunk submarine pipelines and cables on the bed of the Caspian Sea, on the condition that the projects comply with environmental requirements. An important condition is also the need to coordinate the route for pipelines only with the party whose sector will host the pipeline. The presidents of the Caspian states signed the convention on the sea’s legal status at the Aug. 12 summit in Aktau. “The Ministry of Foreign Affairs held negotiations for 20 years and finally, five states came to a positive decision. Therefore, it can be said with confidence that the signing of the convention is a historic event,” said Kazakh Senate Chair Kassym-Jomart Tokayev when the convention was presented for ratification in the Senate on Jan. 31. To ensure effective implementation of the Convention, the states established a special mechanism of regular five-party consultations – High-Level Working Group on the Caspian Sea at the level of deputy foreign ministers/plenipotentiaries of the coastal states. The Group will hold its first meeting this month in Baku, Azerbaijan.